The run up to the holidays has begun, and now begins the full court press to the end of the year. Budget requests are either in or due, annual numbers are getting tallied and performance reviews being conducting. 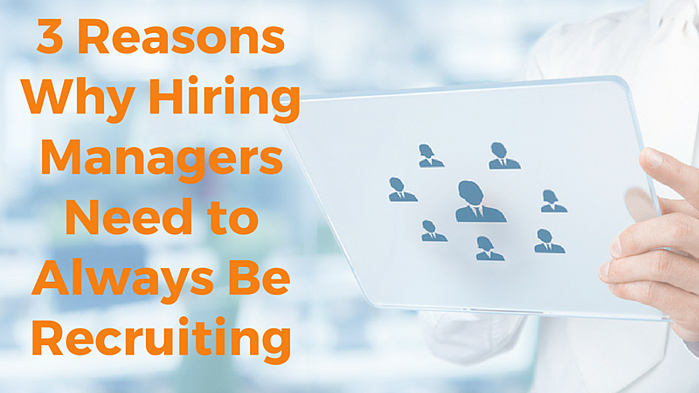 Looking at the bigger picture it might seem counter-intuitive to want to get that new hire started before the end of December, but here are 6 key reasons you should be doing exactly that. 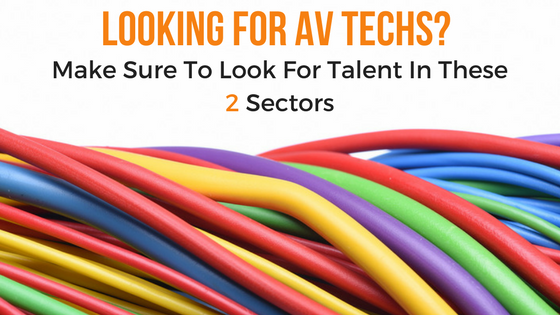 The talent pool in many IT sectors is, at best tight. You don't have to look any further than the Cyber security job market to know that top candidates are in demand. There's truly little need to sit around and wait for a company that's slow to pull the trigger for many IT professionals. And while you may have tantalizing benefits and an enviable company culture on offer, chances are so do your competitors. Whether it's due to expansion in your sector, the growth of you customer base, or the loss of a team member, you have the opening for a reason. You didn't initiate bringing a new employee in on a whim, (although read here on why hiring managers should always be interviewing) you've got a need you need met. And while you may be certain that the budget for the new year includes funding this opening, just remember: the only thing you can count on is change. There are any number of unknowable variables that might effect your budget for the new year - beat the uncertainty by getting the talent you need in place now. This might be considered a corollary of #1 above, but the best candidates are simply not on the market for that long. Not only do they not need to wait for an offer, they won't. While it is never advisable to make hiring decisions under duress, it's equally as ill-advised to surrender to a long and drawn out hiring process. You've got to be willing to move decisively to get the talent you want. Once we hit the end of the year the harder it will be to assemble everyone you need to sign off on hiring decisions. Vacation schedules, end-of-year travel and meetings can make it near impossible to get decision-makers assembled and focused. It's important that you get what you need to shore up your department before everyone scatters and decisions have to be tabled. As for candidates, conventional wisdom counsels one pull in the oars and not think about looking for a new position until the other side of January. The time between Thanksgiving and New Year then becomes this kind of looming void which top candidates and valuable talent are looking to avoid like some kind of gaping sink hole that's temporarily swallowed up the job market. What this means for you and your open desk is if you wait until after the holidays to start final interviews or moving toward an offer, it very well might be mid-to-late January before you get any momentum going. Can you really afford to wait that long? Keep in mind the effect an unfilled opening has on the rest of your team. The more your team members are asked to pick up the slack, the more focus gets scattered and productivity goes down. The long term effects on your bottom line can be very damaging. Remember, one of the very best retention tools you have at your disposal is keeping employees engaged and stimulated. Over-taxed is the polar opposite of what you want. 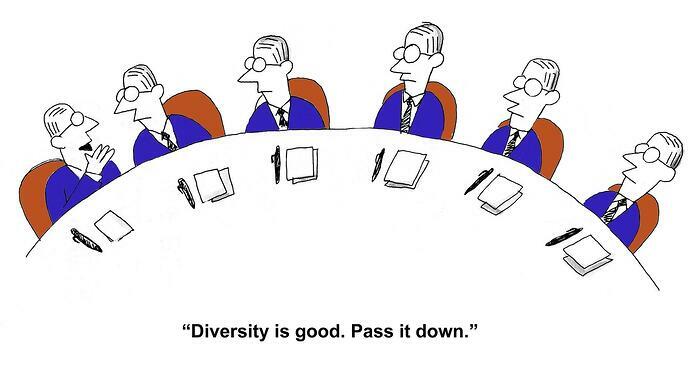 On the plus side, new hires shore up your company DNA. They inject new energy, drive and focus. The contributions they add not only help drive success and profit as a direct result of the work they are doing, but also in terms of keeping your business a thriving place to work. 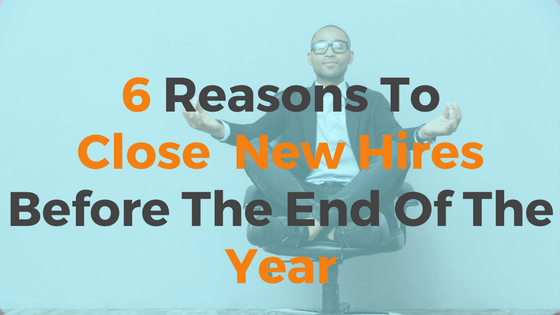 The end of the year is the perfect time to get a new hire on-board. 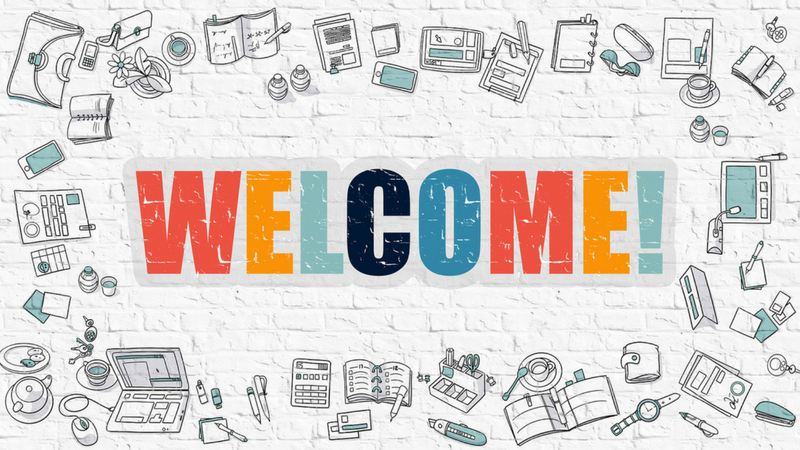 With less distractions, fewer calls to be made, half the number of meetings on the docket, your new employee has the time and ability to get through the necessary training and/or certification processes they need to do their job well. There's likely no other time of the year, not even August, that will afford you the same kind of a slower pace to get your new hires up to speed. It's time to begin thinking of the end of the year as the perfect time to get your new hires on board so that you can hit the ground running in the new year. 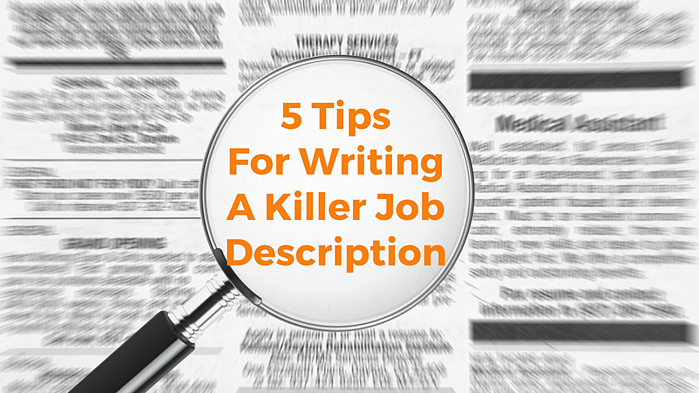 SEEKING: Job descriptions that engage and excite job seekers. Dry, abstract, laundry-list style posts Need Not Apply. 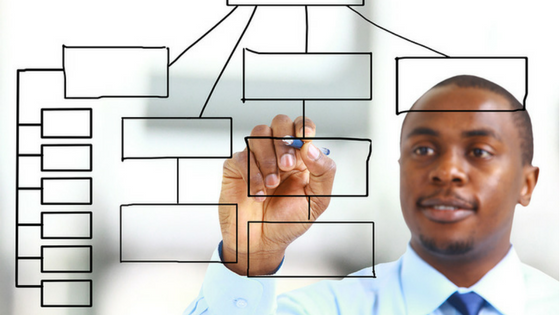 Job descriptions tend to fall into one of a few categories. There’s the standard which can be a very dry, rote recital of responsibilities and data points. There’s the candy-gram style which was very popular with tech start-ups. Big bright, bold and poppy, filled with the countless perks you might find at the company, these job specs were long on style but short on substance. And then there’s the third, most common type that we see, which we’ll call the Purple Unicorn: hiring managers who have drilled down so specifically that they run the very real risk of missing out on some quality candidates. We think the gold standard lies somewhere in the middle. So, what should the ideal job description look like? First and foremost your job descriptions need to effectively communicate with candidates the parameters of the open position you’re trying to fill. And hopefully, they are written with a lot more energy, personality, and life than the sentence I just wrote above. You need to strike a balance between listing the essential skills and qualities you’re looking for with language that is representative of your company culture. And know that in order to reach the right people, you have to research keywords, convey what the future looks like for your organization, and leave the jargon out. Top candidates have options, lots of them, but what most of them are looking for is a position where they feel challenged, valued and that taps into their creativity. They also want to work somewhere that shares the same values they do. If you have a big green initiative, that needs to be part and parcel of your job descriptions. If your company does a good deal of charity or volunteer work, that needs to be made evident from the get-go. Be certain to inject enough personality into the description so that candidates can clearly see what makes you unique. And, how will they be measured? Think about not only what’s required now, but what are the possibilities down the road. The description needs to emphasize how your organization can benefit employees lives, in both the immediate and long term. Studies have shown that ads that emphasize what a business provides to meet candidates needs get 3x more submissions. Those are the kind of numbers you want to attract. In addition to releasing a job description through your usual channels: HR, your contracted Recruiters, Job Boards, remember to encourage your staff to share it through their professional social networks. Provide social networking links on the description and make it easy for the job to be shared around. And remember, your reputation is your best recruiting tool. Happy and engaged employees are your best brand ambassadors. A well-written job description is a tool that enables your HR department and/or trusted recruiter to go out and find you the best, most qualified candidates. It needs to tell the story of what it’s like to work at your organization and what long term success means. And finally, it has to leave enough room for your recruiter to bring you candidates that otherwise might not have gotten your attention. 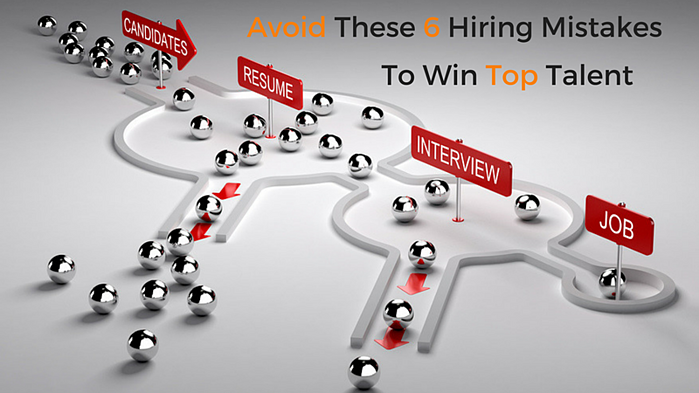 You’re looking to attract not only the active candidates but also the passive ones as well. Job descriptions are an advertisement, remember not to sell them short. Are you looking to build your team or grow your division? J.Patrick and Associates has 25 years of experience in the IT Field with industry leaders and a long record of success. Let us headhunt for you! 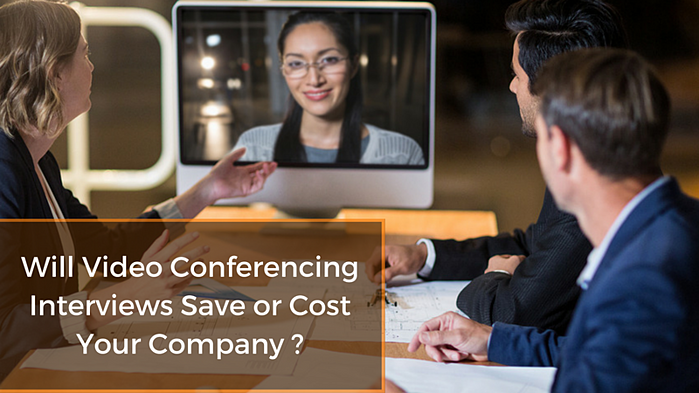 Will Video Conferencing Interviews Save or Cost Your Company? More and more companies have begun using video conferencing to conduct the early stages of the interview screening process. What begun as a trend, has now become an industry standard, but is this really an effective use of a company’s resources? Let’s explore some of the strengths, weaknesses, opportunities, and threats of video interviews from a cost/benefit perspective.